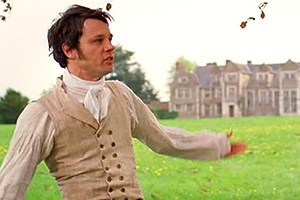 Most of my comfort movies/shows are adaptations of classics, and usually Austen ones. Recently, I’ve had the pleasure of watching BBC’s Emma (2009) miniseries, starring Romola Garai and Jonny Lee Miller, and while a relative newcomer, it has very quickly shot up my list of comfort movies. To be frank (pun not intended), at the start I was feeling very ambivalent about Romola’s Emma. She was quite clearly spoiled, though in a relatively good-natured way. She was very expressive, and talkative. She flopped around the house and whined. At times, I actually felt like she was channeling Julia Sawalha‘s Lydia Bennet, almost flouncing on the seating. I felt like facepalming when she’d try to wheedle her way out of things. Lots of facepalming with the Harriet/Mr. Elton situations. I was also not very sure about Jonny Lee Miller as Mr. Knightley. I’ve never really thought Jeremy Northam made a very good Mr. Knightley, but I didn’t think Jonny was, either. Where I’ve heard people say Jeremy was too handsome to be Mr. Knightley, I thought Jonny didn’t look authoritative enough to be Mr. Knightley: needed a bit more stature, presence, a sense of command. He was like a secondary-character brother. But you know what? All that was amazingly perfect. Emma is a spoiled child. She’s used to getting her way, and her natural wit only pushes that along. This Emma feels a lot more emphatic than the Emmas I’ve seen before (with the exception of Cher in Clueless, but then she isn’t “Emma” now, is she? ), her emotions more on the surface, but that expressiveness pays off because she’s more “accessible”. 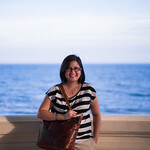 You can see all her sincerity and earnestness even when she’s coming up with a laughable idea. And as the series progresses–you actually see her maturing right there, on the screen. Her movements seem to be more graceful, her expressions more moderate, though losing none of its earnestness and vivacity. And Mr. Knightley? Well, he is an almost-secondary-character older-brother type of person. He never figures into Emma’s life as a primary character until much later: he’s always there, always around, but never in the spotlight. But even as someone in the wings, the miniseries didn’t forget him: the transition between older brother to possible lover so smooth. You see him talking in all seriousness, in his unaffected manner, that he thinks Emma is beautiful and that he loves to look at her–and then in almost the same breath talk about her flaws. Like a brother, a father. And then much later you see the looks last longer, the dawning realization, the jealousy of Frank that is there but doesn’t make him act ungraciously. I loved the marked, but not overdone, contrast between the young, impulsive Frank Churchill and the mature, earnest Mr. Knightley. Rupert Evans was a very believable Frank Churchill, who made us all think he really did like Emma, but whose actions later on pointed otherwise: and yet to do it with a lot of charm that you can’t help but forgive him. 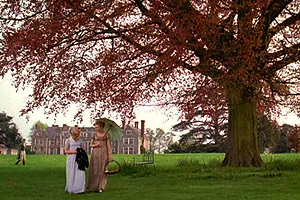 It doesn’t show Frank to a nice light, but I loved the scene where Frank just arrives at Donwell after encountering Jane Fairfax leaving: he is cranky, pessimistic, and looks to be quite thoroughly spoiled, but you feel the height of his distress at the words he had exchanged with Jane off-screen. And Jane! 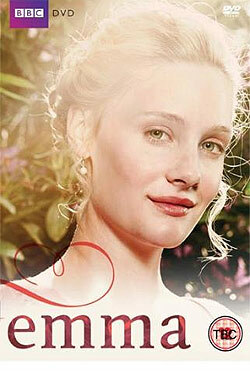 I have to say, I loved Laura Pyper‘s Jane very much. I didn’t think so at first: I’ve always had an image of Jane in my mind that was a lot closer to Polly Walker‘s of the 1996 movie: stately, aloof, elegant. Inaccessible, except to admire from a distance. But Laura shows Jane’s feelings, her uncertainties, her fire: her firm, emphatic refusals of Mrs. Elton’s nosy ministrations, her joy at the ball, her morning walks. I loved the scene where Emma rescues Jane’s letters from Mrs. Elton’s prying, and the two share a smile: you can see how much the two could become friends, and feel a little sad that they don’t until the end. I think however, that what completely sealed the deal for me was the ending: the pivotal moment when Everything Is Revealed. I loved how it kept much of the original dialogue, but it was very well executed that not only does it feel natural, you can really feel that these are two people who have known each other for a long time, agonizing, trying to find their way through. Emma’s expression, that agony, knowing she has hurt him with her outburst–you could almost hear her going “oh &^%$”, cursing herself roundly, wondering what in the hell she was doing, before turning back and running to him, telling him to wait. You could hear his frustration, as he started to interrupt her that he doesn’t want to be just friends, his faraway look in the attempt to master his emotions. These crucial moments, I feel, solidified the series for me. 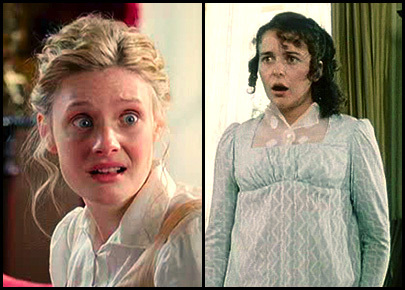 I’m a big fan of Pride and Prejudice and BBC’s 1995 production of it, but I think this adaptation trounced Darcy and Lizzy’s similar scene (which is probably not a very fair comparison: Darcy and Lizzy’s shining moments were mostly their verbal sparring, which is of a different quality as well). I would really have loved to hear Mr. Knightley’s “You are silent, absolutely silent! At present I ask no more,” lines, but I suppose that never really translates very well on-screen. As for Emma bursting into Donwell screaming that they could not marry, when I initially saw the trailer clips, I was quite shocked and dismayed, and quite ready to hate the series then. When that scene came, however, it did not jar as much as I expected. It made me cringe, but with the excellent proposal scene just moments before, it was forgivable. The last scene with her father, and with Mr. Knightley, were both the right sort of tone to end the miniseries with. Simple and poignant, and all the more accessible to all of us, memorable and true. And that’s what this adaptation was for me: slightly modernized in handling, but made more accessible; memorable and precious. This Book devourer, Book Reviews post was published on Friday September 24, 2010, and tagged under adaptations, bbc, emma, jane austen, jonny lee miller, romola garai, tv series. I totally agree – this has got to be my favourite and I think the most accurate version of Emma. I love Mr Knightley and loved how he took a different approach to the character, keeping him quieter and more in the background, and it really made him very accurate and believable. I can’t really comment on the accurateness (ETA: as compared to other adaptations), as I’ve only seen the movie with Gwyneth/Jeremy and this one! :x But of the two, this was definitely the better one. (I’ve watched the proposal scene of the Kate/Mark one, but…uh…Kate wasn’t very convincing.) I’ve heard criticism of the language (due to some modernization) but I’m thankful I’m not one to easily spot those kinds of things :D! Okay, you’ve convinced me. I now need to see this.